East Leeds FM was created back in 2003 as a pilot project run by Heads Together Productions with students from John Smeaton High School. 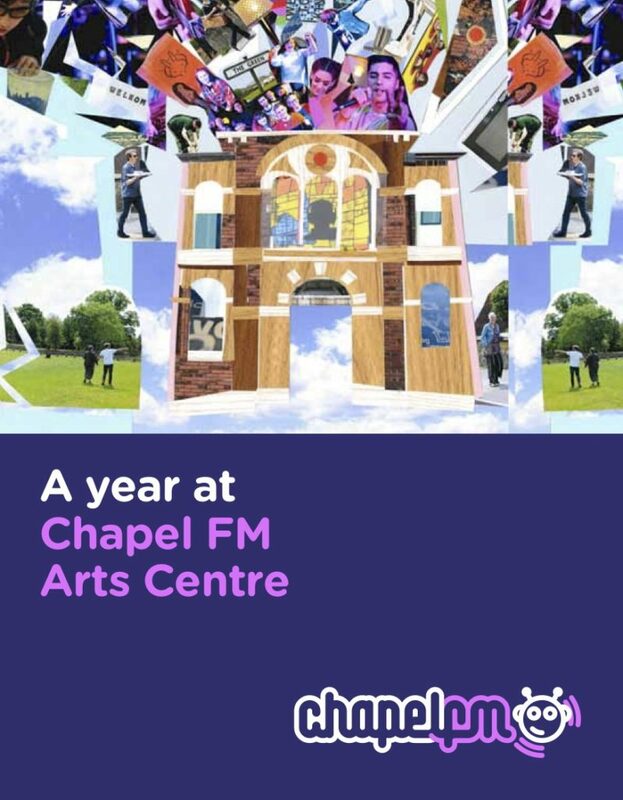 It has grown and developed since then and in 2014 we saved the crumbling old Seacroft Chapel to create Chapel FM; a new home for ELFM and the first-ever dedicated arts centre in East Leeds. We have a 99 year lease on Chapel FM...we're there for the long run! And we believe that organisations and venues like ours, sitting in the heart of communities, are a crucial part of working to create a better society—one that is not divided along economic, social and cultural lines. Your work embodies the vital socialist principle that everybody in society has something to offer, which is why I wish you every success in the future. Our vision: East Leeds—a community that has pride, vision and hope for the future. It’s about time East Leeds had an arts venue of it’s own to be proud of. Chapel FM is it. What I love about it, is that it really is accessible right from the moment you pull up in front of the building.